It’s Sewing With A Plan (SWAP 2011) contest time again. Which means making a group of garments that ‘go together’, that are interchangeable. At the simplest, it’s a trivial problem. Suppose the rules are to make 6 tops and 4 bottoms. Choose a favourite top pattern and make it 6 times, and a co-ordinating bottom pattern and make it 4 times. If you use co-ordinating fabrics, all the tops will go with all the bottoms. Well, SWAP’s a bit more complicated this year, as each garment has to include a new technique. So they would all need embellishment, or special style elements, or to be in unfamiliar fabrics. But most of us want a wardrobe a bit more interesting than that ! So what makes it easier to co-ordinate ? Garments go together more easily if they’re related in colour, fabric, and shape. Which is another way of saying : reduce the number of colours, fabrics and shapes. Many people eventually find this becomes boring. But as a way of getting a basic set of co-ordinates it’s a good idea. Reduce the number of colours. A simple formula is to use a dark neutral, light neutral, main accent, and subsidiary accent. All in your most flattering shades of course. If that thought doesn’t inspire, get to know your ‘colour personality’ (see posts on individual colour types in her April 2010 archive). Reduce the number of different fabric types, textures, and prints. There are many wardrobe possibilities based mainly on fabric choice, as in my post on Kate Mathews’ wardrobe plans. But I’m concentrating here on reducing the number of different shapes. Of course most people who take part in SWAP make inspirational combinations of their own choice of individual garments. But here are some ways of getting someone else to do the shape co-ordinating for you. 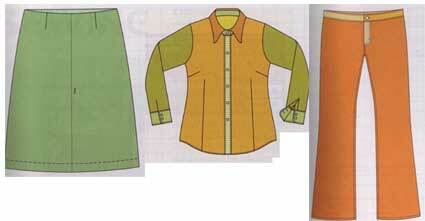 Choose a Big 4 wardrobe pattern and make several of each item in different fabrics. There’s an excellent example from Mary Beth of the Sewing Divas. She used Butterick 5333. SuperSewer Ruthie has just won the Pattern Review One Pattern Wardrobe contest, with her entry of 7 items made in 2 weeks from New Look 6735. There are many other Big 4 wardrobe patterns with the same basics. 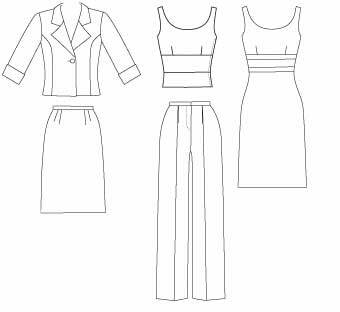 Here are a few wardrobe patterns that can be sewn quickly. A major problem for me with almost all Big 4 wardrobe patterns is that the top-dress is sleeveless or only cap sleeved. That just wouldn’t work for me, as I feel the cold in a moderate climate with minimal public space heating. I started to rant about it, but that isn’t what this post is about. But remember you can’t just add sleeves to the top without checking the jacket. 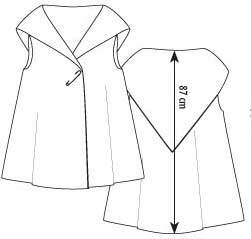 The jacket armhole may need to be bigger and the sleeve wider, to be comfortable worn over another sleeve. 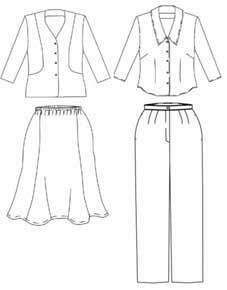 Simple variations of the pieces in these patterns are to add embellishment, or change the length of body or sleeves, remove a collar or change the neckline shape (see necklines post). Independent pattern companies rarely offer wardrobe patterns, though there’s one I keep mentioning, Central Park by Park Bench. That’s intended as a ‘complete’ pattern, a basis for ‘creative’ people to vary fabrics and embellishments to make everything they wear. One problem is it’s a one size pattern which you need to adjust to yourself. If you don’t mind instructions which aren’t in English, Multisnit is the king (queen ?) of wardrobe patterns. In any of their wardrobe patterns there are at least 10 different styles, and I’ve counted as many as 17. Here’s one example, Multisnit 3.37. Yes, you get all these styles in one pattern. Again in some of these patterns the jackets would not layer comfortably over the tops. Often it looks as if the jackets are meant as more formal alternatives to the tops, rather than as layering pieces. Some of the ‘current’ styles are layered short over long, which doesn’t work for me. That is a personal style and body shape thing. With one of these patterns, your wardrobe plan becomes : make one of each. . .
Buy online in English from Fjoelner, who have a Danish-English sewing dictionary under the Information tab. There are several books which supply a basic group of tissue paper patterns, and suggest ways of making different versions. Change fabric, change length of body or sleeves, add or remove collars and sleeves, add embellishments. Most of these books are by people who have a range of patterns, so you could supplement the books by adding other patterns in similar style. Perfect Plus book by Kathleen Cheetham of Petite Plus patterns. 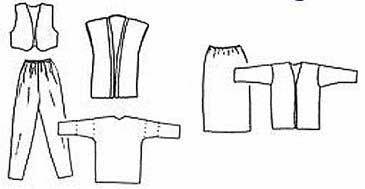 Much of the book is about making a wardrobe from these 4 patterns. Sew Serendipity book by Kay Whitt of Serendipity Studio patterns, who also designs for McCall’s. Half a dozen variations described in detail for each pattern, plus other suggestions. Sew U book by Wendy Mullin who has her own clothing line and used to design patterns for Simplicity. Many suggestions for changing the style elements on these patterns. She also has later books on knits, dresses, and jackets (beware tiny patterns). And there’s an old book in this style : ‘Making a complete wardrobe from 4 basic patterns’ by Rusty Bensussen. The diagram patterns are huge and hugely out of date, but the ideas on adapting patterns are useful and still valid. I posted a modern version in what you can make from one pattern. Pattern magazines are often good sources for several variations all based on the same pattern pieces. There’s an example from Burda magazine in that post. 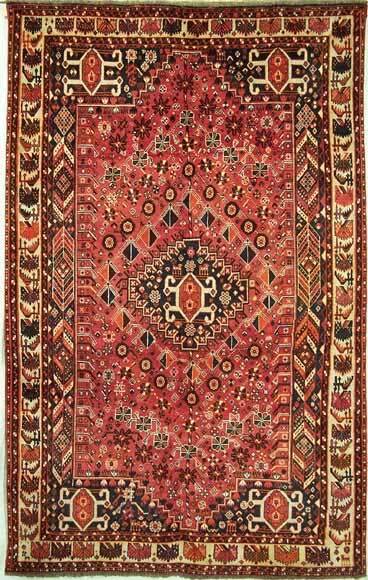 There are some designers whose patterns are specifically intended for making variants. Such as Nancy Erickson of Fashion Sewing Group. 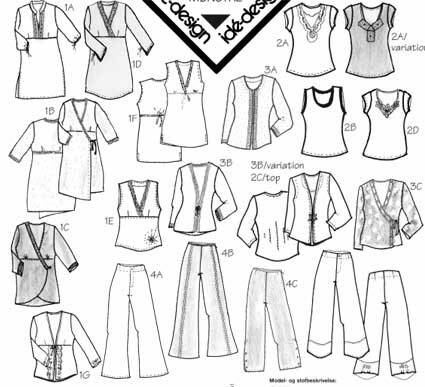 A small group of classic patterns, plus booklets and newsletters which suggest many variations. Shirley Adams of Alternatives has basic casual patterns for two jackets (one with fitted shoulders, one with dropped) and a top. Then a whole series of other patterns and videos showing how to adapt these patterns into different styles. Bernina My Label pattern software has about 25 modern classic patterns. Once you get them to fit, you can use manual patternmaking methods to develop them into other styles. There’s much guidance on doing this in the support sites. Another simplification would be to use only patterns from a designer with patterns all closely similar in style. Such as Loes Hinse and her other designs now published by Textile Studio. 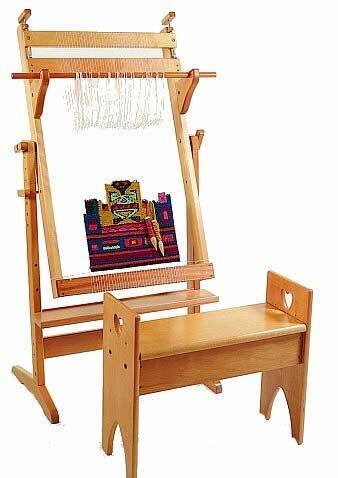 In fact, most independent pattern designers have a very consistent style, so just choose one of them to make all your patterns from. Here’s my post on recent ones. The same idea might apply to using Big 4 patterns by the same designer. For example all the Vogue designer patterns by Anne Klein, or by Tom and Linda Platt, or Chado Ralph Rucci, Donna Karan / DKNY, Issey Miyake, or Lynn Mizono. Though admittedly most of these would not be good for SWAP as they’re not usually quick to make ! Or all Palmer-Pletsch or all Nancy Zieman patterns from McCall’s. 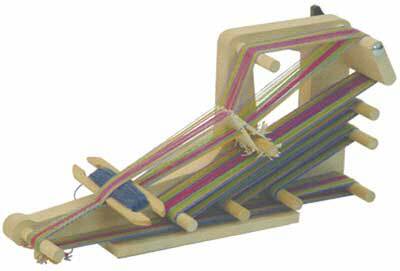 And Simplicity Threads and Sew Stylish patterns have a common style. For the more generously sized, Connie Crawford at Butterick and Khaliah Ali at Simplicity have a wide range of patterns with a consistent style. Choose a small group of patterns, one of each garment type, and make your own variants. There are two interesting strands at Stitchers Guild which show what different ideas people can come up with in answer to this question. Of course, most people wont want so many garments that are basically the same. 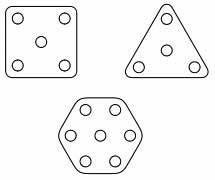 But it’s interesting to see the easiest solutions to the problem of getting shapes that co-ordinate. I don’t want to imply that using a wardrobe plan is right for everyone. I happen to be the sort of person who, if I make a detailed plan, I surface a week later to find myself off doing something completely different. . . What works best for me is an Endless Combinations approach : each item I make or buy must go with at least 2 items I already have. What wardrobe plans do best is focus us on thinking whether we’ve got what we need (hmm – don’t buy another white shirt when I’ve already got 12. I’m much more in need of interesting layers). Wardrobe plans are often aimed at helping people to look good at work. And plans are good for people who’re trying a new style. Or who need a small group of clothes for travel or formal occasions. Or to ‘edit’ their existing clothes to get a group that can be worn together without much thought. And wardrobe contests stimulate us to sew these plans quite quickly ! But here I mean the American visible upper layer vest. For winter warmth these are always my cosiest add-ons. There are several directions to go for patterns. Happily some warm vest styles are also ‘current’. And there are many current vest styles not focussed on warmth. The section on those kept expanding, so I’ve made it a separate post. Jalie recommend 1 inch/ 2.5 cm thick batting/ wadding, of a make I can’t find in the UK. There is a thick quilt batting/ wadding called Dream Puff (1/3 inch/ 1 cm, part of the Quilter’s Dream range), which claims superior insulating properties. Perhaps we need to go to a more northern European country to get really warming fabrics. Fjoelner in Denmark has various weights of clothing insulation. Make the vest lined with plaid flannel for extra fun. The ‘current’ version of this padded vest is a blouson : waist length and with ribbing at waist. Worn over a low hip length knit top. Not flattering to all body shapes. 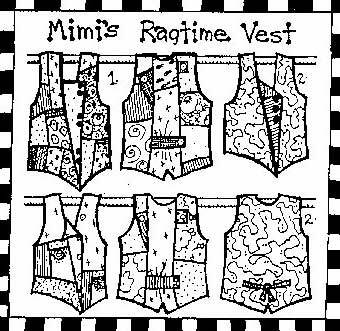 There are probably hundreds of patterns for quilted vests : appliqué, patchwork, embellished, and usually v-necked. I’ve managed to stop collecting them. Pavelka has one of my favourites. I’m planning to try Thinsulate rather than classic quilt wadding/ batting. Available from outdoor fabric specialists. I haven’t sewn with it, but it must be good for clothes as I have some wonderfully warm gloves made from it. I prefer a high necked vest for warmth, such as the new Butterick 5532. Those instructions are for pre-quilted fabric, so adapt if you do your own layering. 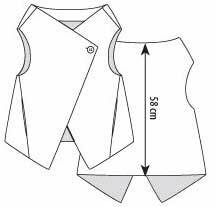 Some interesting vest shapes to try, which look as if they could be made with an added quilting layer. Not surprisingly they come from Scandinavian countries – all with instructions in Danish. Multisnit 3.43. Buy in English from Fjoelner. These are one-piece wrap-vest styles. You need confident technique to use Multisnit patterns. They have a traceable pattern sheet without seam allowances, and brief instructions in Danish. I love fake fur vests. They have happy memories for me of a winter in Toronto. Many fur vests in the designer collections this season. The ‘current’ fur vest is v-necked, long and wide shouldered. A big look. For a pattern there’s Butterick 5359 View E.
Though I prefer a jewel neckline for warmth. And preferably a raised neckline. And definitely made so the front opening has no gaps. 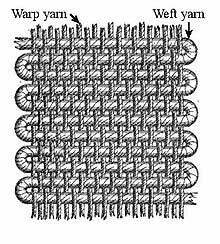 I have an old pattern like that, but can’t find a current one. The nearest is Kwik Sew 3731 view B. 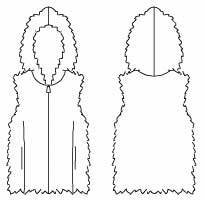 There is Butterick 3311 for a zip-fronted fur hoodie. 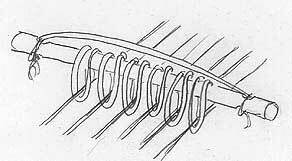 Vests of long shaggy pile fur are made with the pile pointing downwards. But the usual advice for the direction of pile is to have it pointing upwards. And this is important if you’ll be wearing the pile garment under something else. 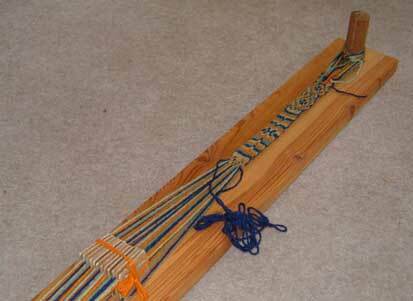 With the pile pointing downwards, it may ‘walk up’ the garment outside it. My mother told a horror story of making a party dress in velvet with the pile pointing down. By the time she arrived at her destination it had worked itself up under her coat. . . to reveal all. . . A vest with the pile the wrong way could be uncomfortable rather than embarassing. But do make the pile pointing upwards, unless it’s so thick you’ll rarely wear something over it ! P.S. Karin’s comment about shearling reminded me of Kwik Sew 3172, a vest with the fur turned inwards. For the current ‘aviator’ look, make this double-breasted with an asymmetrical front exposed zip closure. P.P.S. I confess in winter the last thing I’m worrying about is whether I look fat, but Imogen Lamport has a post on wearing a fur vest and keeping stylish ! P.S. For classic fleece vests see McCall’s 5991, 5252, 5402. So there is a rich selection of different, interesting, attractive, creative and even ‘current’ ways of getting added body warmth without encumbering your arms.